The Skoda Kodiaq will have a new baby brother arriving here in the second quarter of 2018. The new Karoq has been officially revealed as a mini version of the seven seater Kodiaq, the Karoq has five seats and a smaller footprint. Let’s take a closer look at some of the details of this exciting new Skoda car. The wheelbase for the Karoq SUV measures 2,638mm for the front wheel version and 2,630mm for the all wheel drive variant. To put this into comparison, the Tiguan shares the MQB platform, yet it has a 2,681mm wheelbase. The Karoq may the replacement for the Yeti, which has a 2,578mm wheelbase and an overall length of 4,222mm. Overall, one may be concerned that the Karoq may be too small to match its remit. However, the available space is cleverly used. A generous boot space of 521 litres is extended to 1,630 litres when the second row of seats is folded flat. On the subject of seating, the Karoq has optional VarioFlex seating available, which allows the three rear seats to be removed or adjusted independently. When the rear seats are removed entirely, the Karoq is pretty much a van with windows with a massive 1,810 litres of cargo space. There are LED headlights and tail lights giving this mid sized crossover an upmarket sharp style that is accentuated with new 16” – 19” alloy wheels. The Karoq has a new digital instrument cluster that echoes recent additions to the Volkswagen and Audi line. This display can be configured in four different display views; they are Classic, Reduced, Digital and Info Profile. Each view delivers a different experience with different sizes of dials and configurations of readouts. Other interesting features, include: a heated steering wheel, LED interior ambient lighting with ten settings, front and rear heated seats, four choices of infotainment systems, Satellite Navigation, WiFi hotspots, the Skoda Connect app and remote air conditioning controls. There is a new 1.0TSI three cylinder petrol engine that generates 85kW of power and 175 Nm of torque. The next option is a 1.5TSI four cylinder petrol unit that generates 110kW of power and 250Nm of torque. There are also three kinds of diesel engines available, a 1.6 TDI, a 2.0 TDI and a tuned 2.0 TDI. 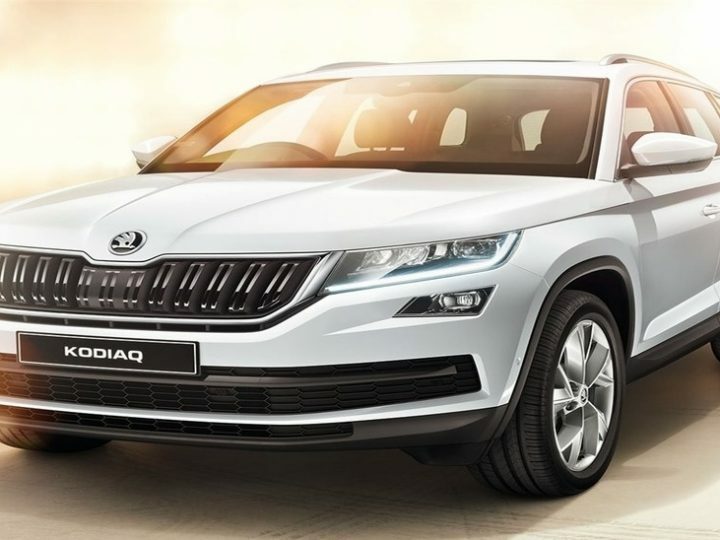 If they are looking for a Skoda Kodiaq, Perth drivers should contact us here at Skoda Perth. We have an unrivalled stock of both new and used cars for sale, including the new Skoda Kodiaq. We would like to invite you to join us for a test drive at your earliest convenience to try the Skoda driving experience firsthand. If you need financing, our rates are competitive, and repayments are tailored to your circumstances. Our sales team is poised to advise you on the latest Skoda Kodiaq for sale price and answer any other queries you may have.